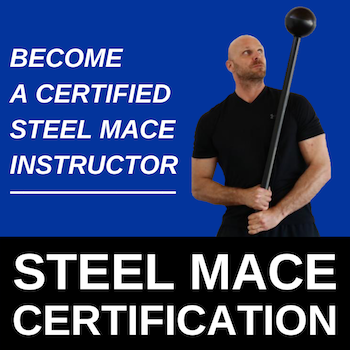 Become a fully certified mace instructor with our Steel Mace Mastery certification course. Discover 43 modern mace exercises and traditional mace exercises like the 10-to-2 and 360… PLUS a whole lot more! Our mace certification is accredited with Fitness Australia and recognised Worldwide by the International Confederation of Registers of Exercise Professionals (ICREPS).